What does science have to say about cross country skiing, double poling and strength? Cross country skiing was traditionally a sport performed by mountain men, lumberjacks and farm boys. They had a good base of strength, more than sufficient for racing. The speed was relatively low, the poles were used sparingly and sprinting wasn’t invented. Research in sports physiology was, therefore, initially focused on aerobic capacity and how to improve it. Swedish professors Per Olof Åstrand and Bengt Saltin were pioneers in the field in the 70s and lay the foundation for what is known about aerobic conditioning to the present day. When researchers later started to investigate the correlation between strength and performance they focused on whether increased strength gave better results in endurance sports such as cross country skiing. Hoff, Helgerud, Österås et al. (1-3) published exciting papers showing that increased specific strength gave improved endurance in double poling tests. They had Norwegian elite skiers follow a strength training program for nine weeks. The athletes performed adapted pull-downs with 85% of 1RM, 3 sets of 6 repetitions, three times per week. The results were remarkable! Strength (1RM) increased by 20. 9 % without increased body weight and time to exhaustion increased a whopping 62 % without an increased aerobic capacity. The researchers concluded that an increased 1RM improved the economy of double poling. Note specifically that these results relate to skiers in top shape. The researchers stated that “well trained cross-country skiers could add maximal strength training to their training regimen”. Additionally, they were able to show that the skiers who quickly generated high pole forces (explosive action) also reached the highest speeds. It was also shown that legs and lower back muscles are important in returning the body to the starting position. A few years later, researchers in Austria measured upper body strength in elite sprint skiers and published several relevant results in 2007 (5). They found that the strength (actually power) the skiers could produce in four maximum pull-downs clearly correlated with their performance in 1000 m double poling! The correlation was almost linear. This means that the skiers with the highest pulling power also produced the highest speeds in double poling. The STR-skiers gained 19 % on their pull-down strength. The control group gained only 5%. The STR-skiers improved their aerobic capacity on the tread mill in skating by 7% while the control group gained only 2%. The STR-skiers improved double poling speed by 8% and control group by 6%. The individuals who were relatively weak before the intervention gained most by strength training. Thus, based on recent research, it is scientifically proven that more strength gives better results in cross country skiing. This is especially true for those who do a lot of double poling. There are however two very important preconditions: Do not gain too much weight and get strong in the relevant muscles. Improve your ski-specific strength! J. Hoff; A. Gran; J. Helgerud;”Maximal strength training improves aerobic endurance performance”, Scand. J. Med. Sci. Sports, 2002:12 288-295. H. Österås; J. Hoff; J. Helgerud;”Maximal strength training effects on force-velocity and force-power relationships explainincreases in aerobic performance in humans”, Eur. J. Appl. Physiology (2002) 88: 255-263. 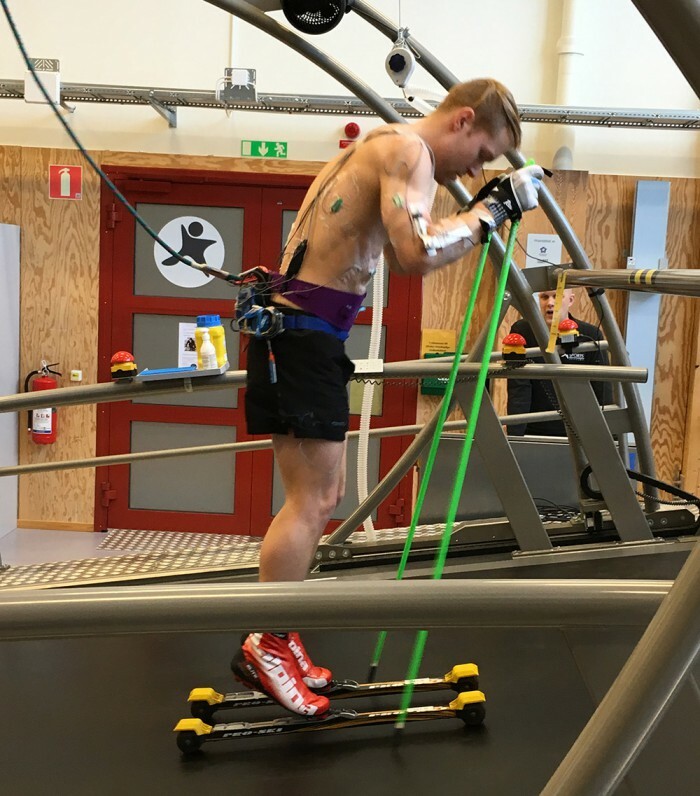 H-C Holmberg; S Lindinger; T Stoeggl; E Eitzlmar; E Müller, “Biomechanical analysis of double poling in elite cross-country skiers”, Medicine & Science in Sports & Exercise, Volume 37(5), 2005, pp 870-877. 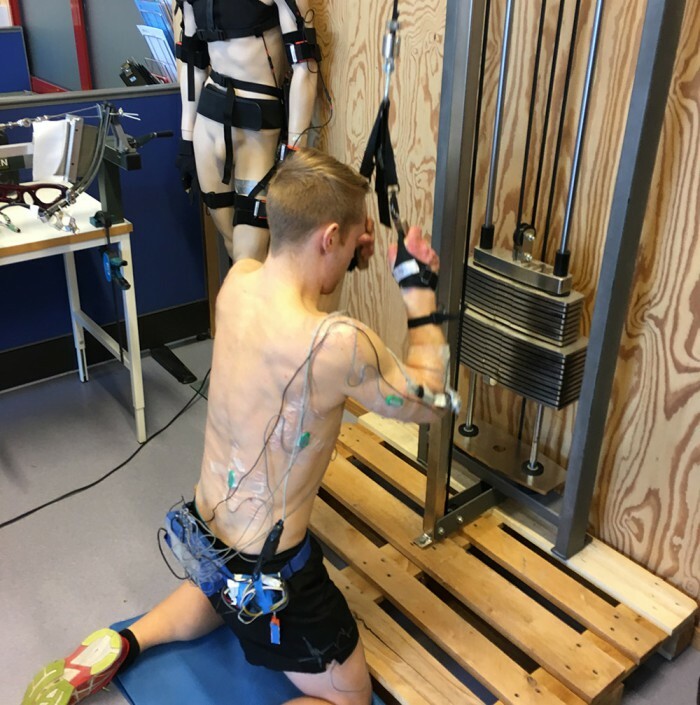 T Stoeggl; S Lindinger; E Müller, “Evaluation of an upper-body strength test for the cross-country skiing sprint”, Medicine & Science in Sports & Exercise, Volume 39(7), 2007, pp 1160-1169. J Bojsen-Möller; T Losnegard; J Kemppainen: T Viljanen: K K Kalliokoski; J Hallén: ”Muscle use during double poling evaluated by positron emission tomography”, J Applied Physiology 109: 1895-1903, 2010. T Losnegard; K Mikkelsen; B R Rönnestad; J Hallén; T Raastad: ”The effect of heavy strength training on muscle mass and physical performance in elite cross country skiers”, Scand. J. Med. Sci. Sports, 2011:21, 389-401.